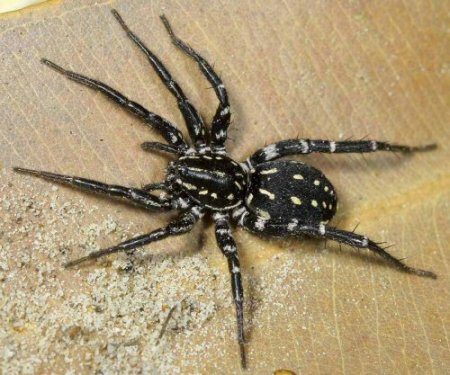 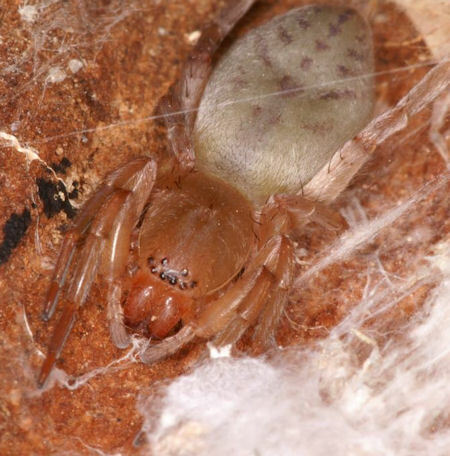 Sac spiders are spiders that make a kind of silken sac in which they lay their eggs. 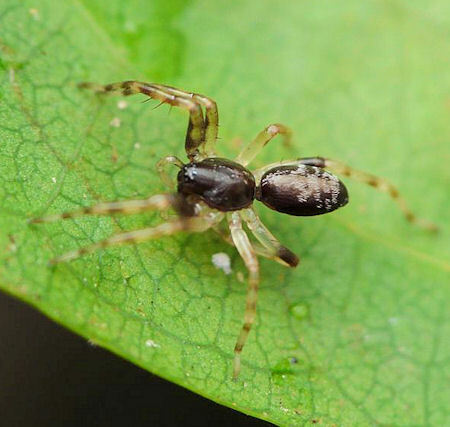 Anyphaenidae, Tengellidae, Zorocratidae, Miturgidae, Liocranidae, and on this page the Clubionidae, Corinnidae and Gnaphosidae. 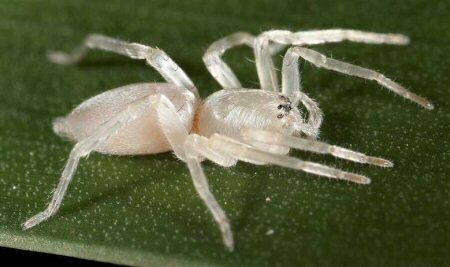 Worldwide this family contains 75 genera with over 900 species mostly in the tropical and sub-tropical regions. 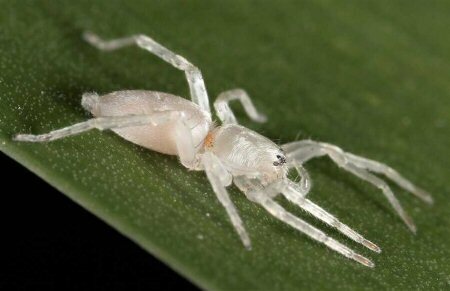 Many of the species mimic ants on which they hunt. 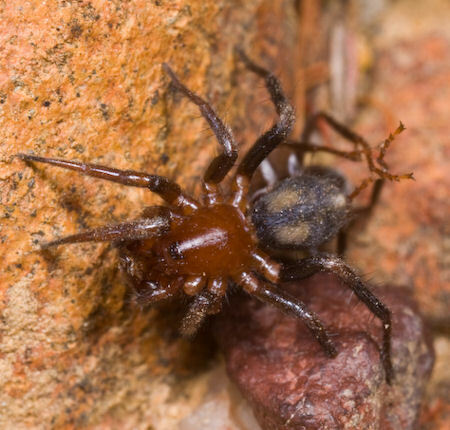 The Orange-legged Swift spider or Nyssus coloripes is one of the fastest spiders in Australia. 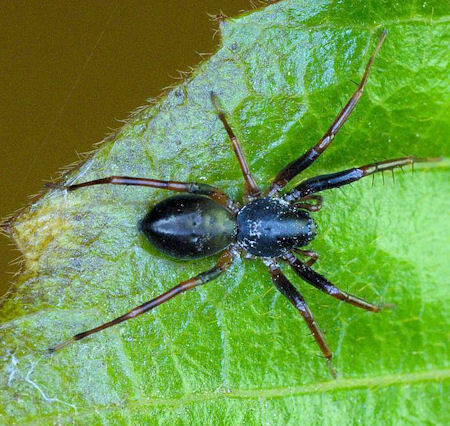 While running, it waves its two forelegs above its body, mimicking the two antennas of a wasp. 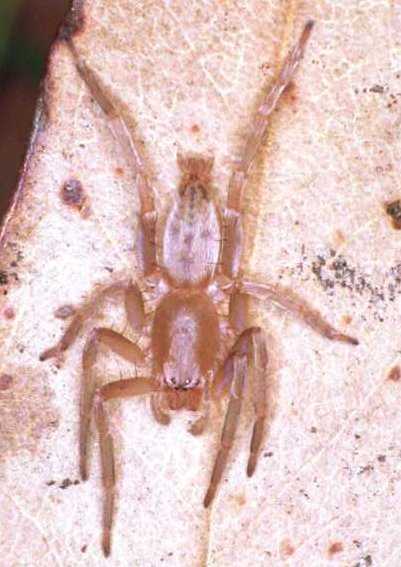 The front two legs have a brown tinge. 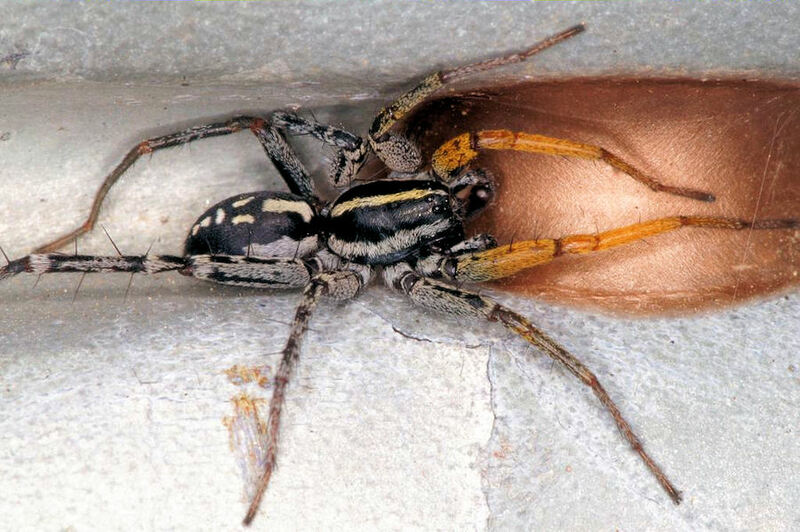 Male and females are identical and their length varies between 5 and 7 mm. 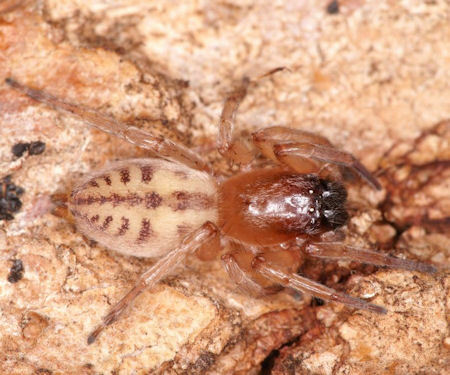 This species is closely related to much larger Supunna albopunctum (7 - 12 mm) but this spider has two rows of white dashed spots on its abdomen. 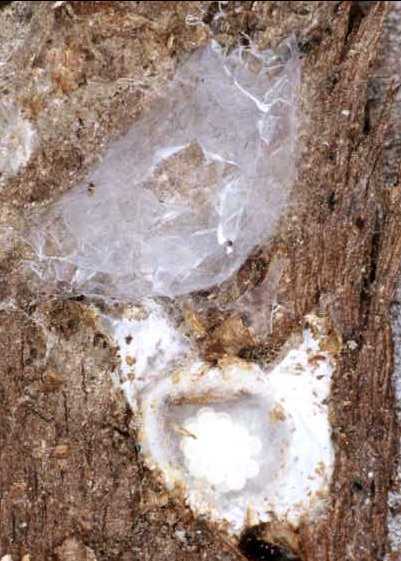 In autumn and winter the females construct a flat very white disc shaped egg-sac of 5 - 6 mm. 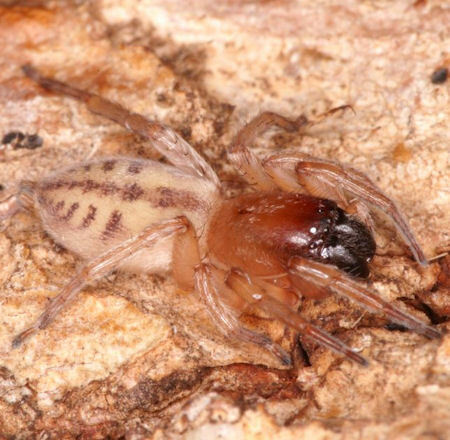 The spider feeds on ground dwelling insects and spiders. 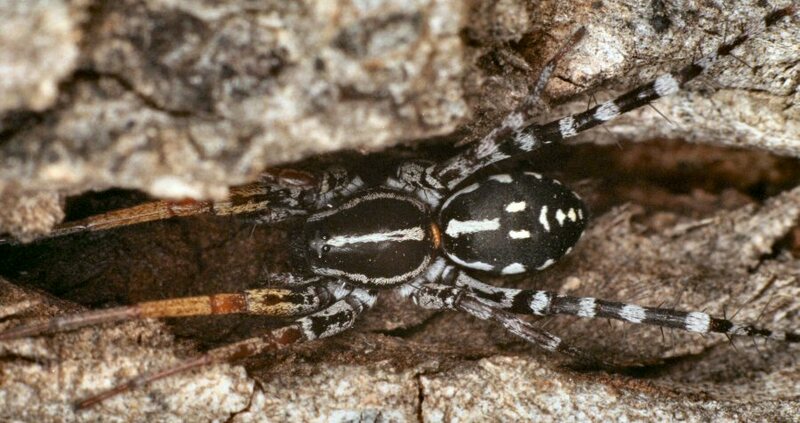 In Australia Clubiona are predominantly found under the bark of eucalyptus trees. 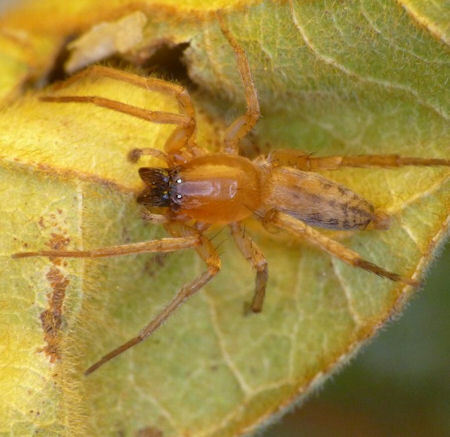 Clubiona robustus is a common found clubionid. 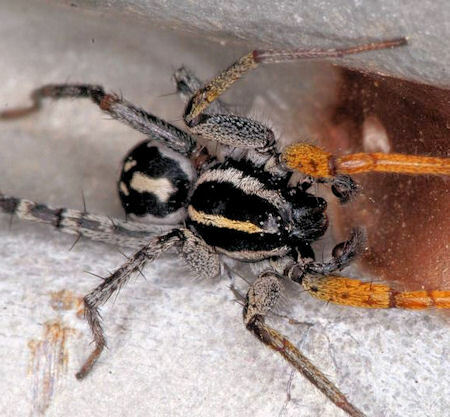 The size of these spiders is 9 -15 mm. 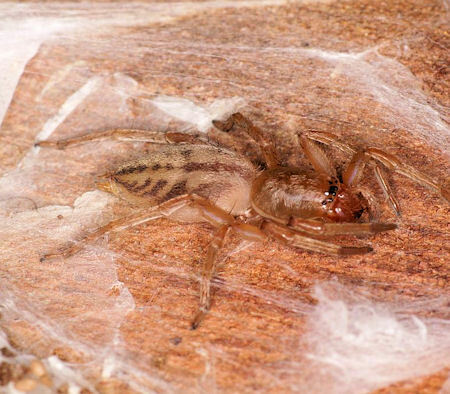 They usually have a long, narrow body and are light brown to darker brown spiders. 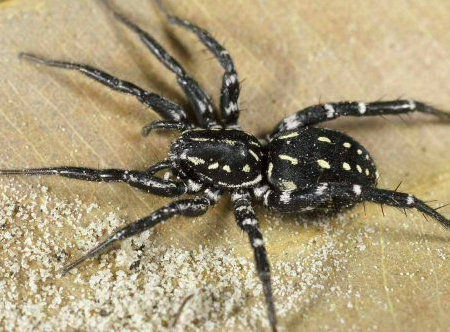 Their jaws are ofther broad and black of colour. 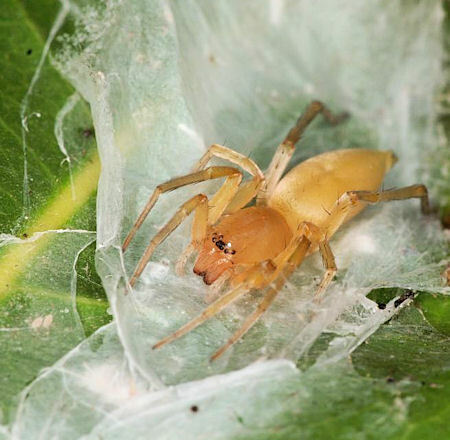 The spider often constructs a tubular silken retreat. 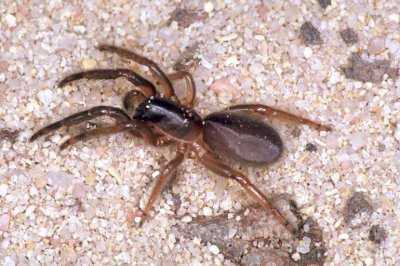 Fourteen species are described in Australia. 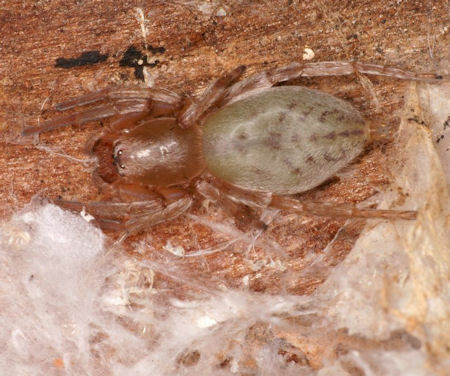 This genus is in appearance closely related to the family Clubionidae. 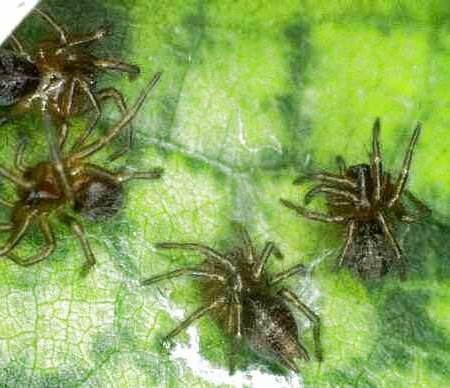 Although this family consists of almost 2000 valid species, the family becomes smaller and smaller for the Australian continent. 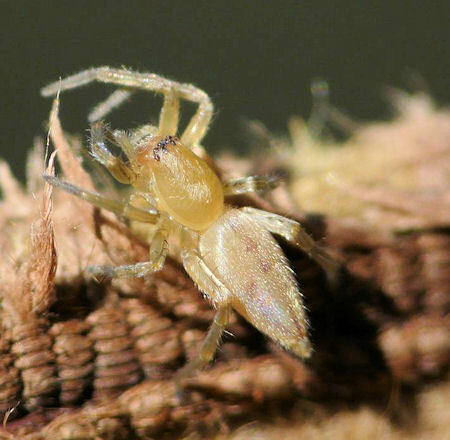 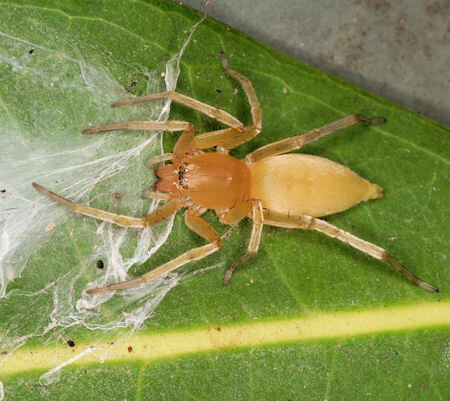 Recently several flat spiders (Hemicloea) were moved to the family Trochanteriidae. 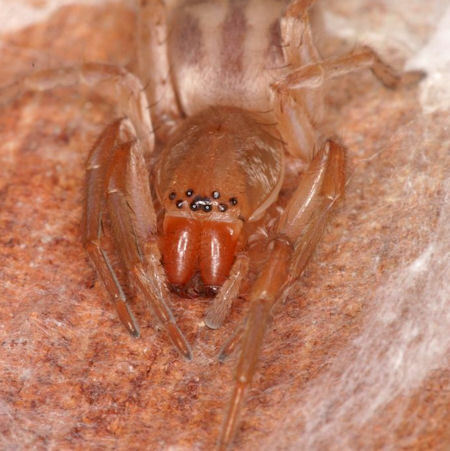 Gnaphosid spiders have large cylindrical spinners. 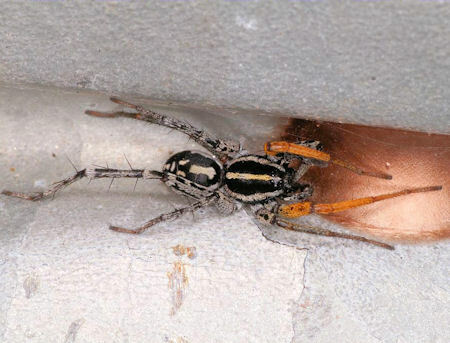 The abdomen has no clear markings and their colouring ranges between grayish brown and black. 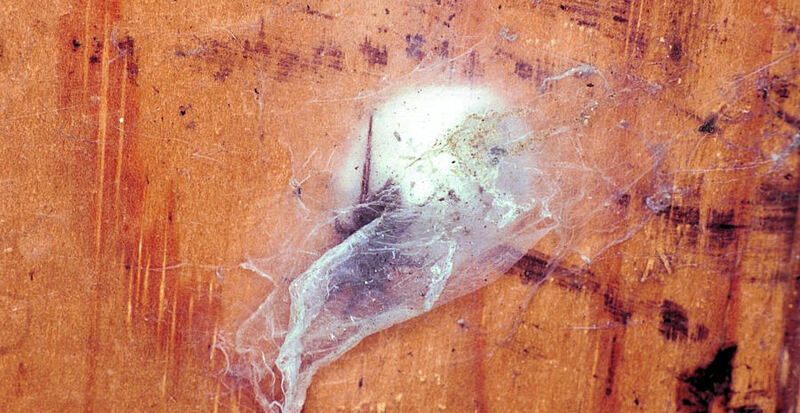 They are nocturnal hunters and spent the day in a silken retreat. 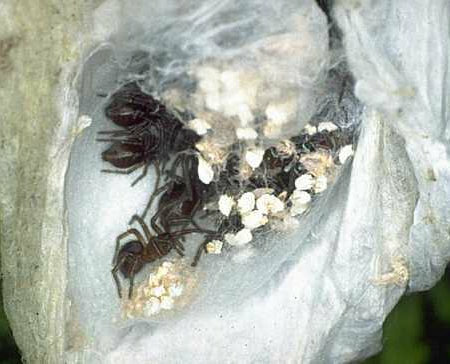 The females make their thick walled egg sacs in the summer and guard it until the youngsters are born.